Grave : Plot II. Row A. Grave 41. 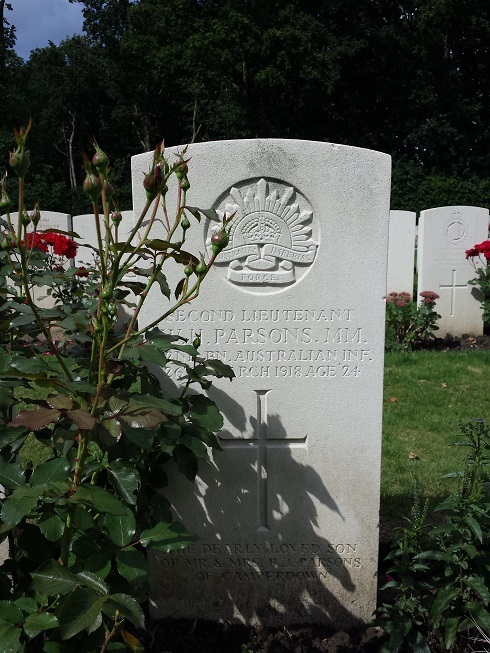 William Henry Parsons was a son of Benjamin John and Julia Parsons, of Trafalgar, Victoria. He was awarded the Military Medal and the Croix de Guerre (France).